After seeing artist Yayoi Kusama’s exhibit I got the idea of circles and dots back on my mind! The use of dots in this wrap is another exploration of possibilities and combination of techniques to achieve a striking effect in a knit accessory with minimal finishing. 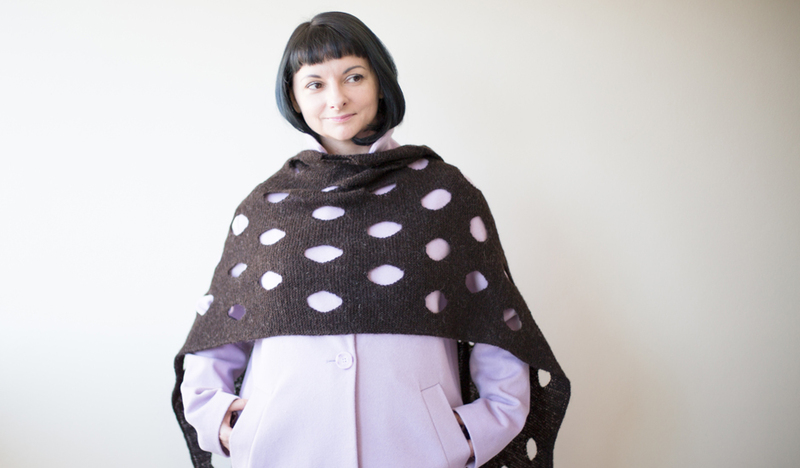 Knit modular-style with negative spaces for dots, the sizes of which are staggered and reduced progressively all throughout this woolly wrap. Warm and cosy, this wrap is easily styled for its malleable and drapey fabric.